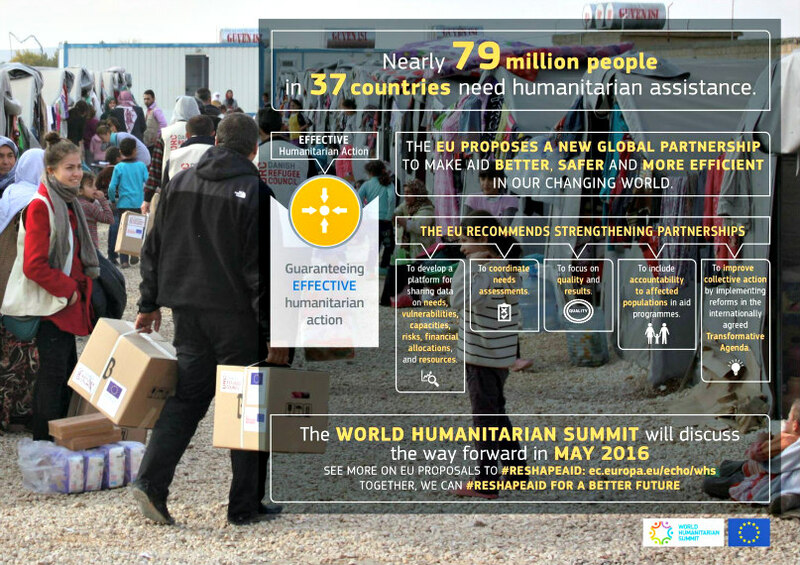 The European Commission's Humanitarian aid and Civil Protection department (ECHO) aims to save and preserve life, prevent and alleviate human suffering and safeguard the integrity and dignity of populations affected by natural disasters and man-made crises. 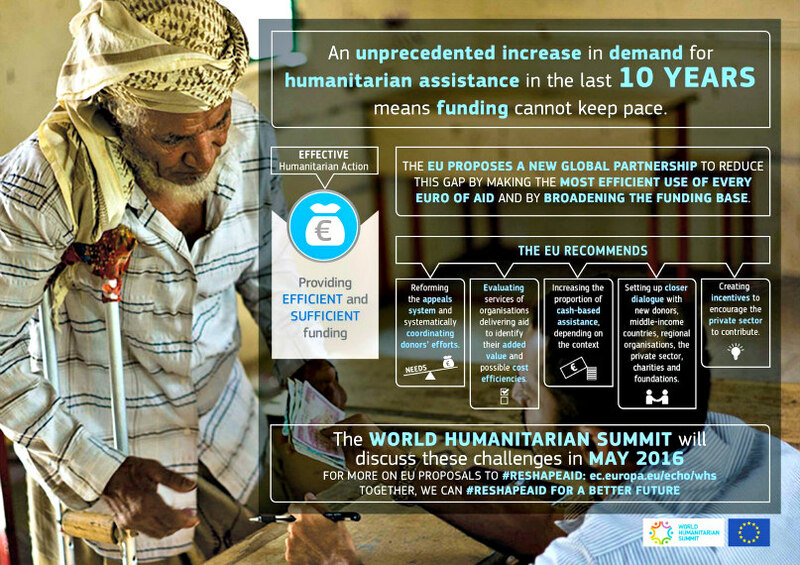 EU assistance, amounting to one of the world's largest, is enshrined in the Treaty of Lisbon and supported by EU citizens an as expression of European solidarity with any person or people in need. 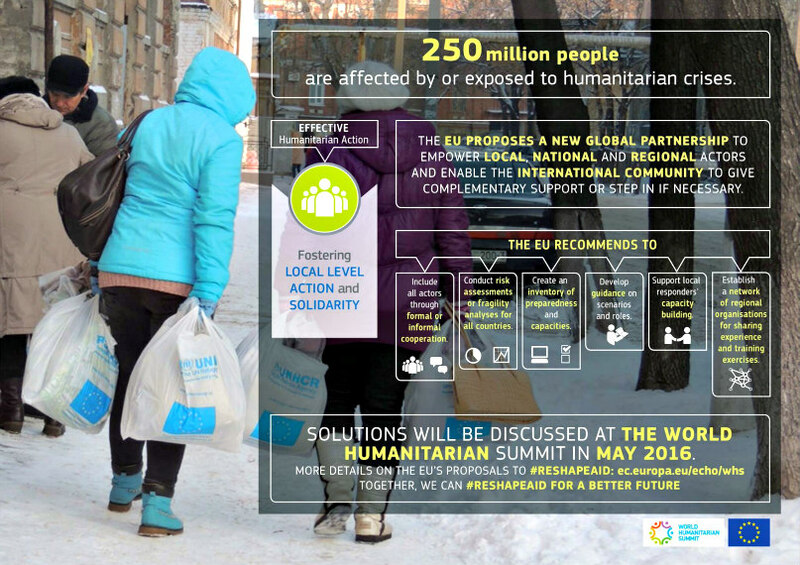 Headquartered in Brussels with a global network of field offices, ECHO ensures rapid and effective delivery of EU relief assistance through its two main instruments: humanitarian aid and civil protection. By bringing together the two under one roof in 2010, the Commission has built up a more robust and effective European mechanism for disaster response both inside and outside the EU. Since November 2014, ECHO operates under the mandate of Mr Christos Stylianides, EU Commissioner for Humanitarian Aid and Crisis Management.